This book left me feeling super torn. On the surface, it is a very sweet story about a girl falling in love for the first time at Christmas. I loved the setting of a Christmas tree lot in December. It is one of the few Christmas books that I have read this year (and I have read a lot) that genuinely cannot have happened at any other time of year. The holiday season is almost another character and as I was looking for a feel-good Christmas book I appreciated it. I enjoyed Sierra. She was likable, slightly more sensible than necessary, and generally pretty realistic about herself and the people around her. I liked that she had a close positive relationship with both of her parents. I have said it before but I wish that decent parents weren’t so scarce on the ground in YA land. Sierra’s friendships also seemed realistic. The sort of relationships that girls have in high school that last into adulthood with a little bit of work and luck. The one problem is that Caleb has one very troublingly violent incident in his past. This is a YA book and as such, the target audience is not adult me but actually teenagers. It is very sensitively done in this book but I can't help worrying about the underlying message. On the other hand, the incident happened several years in the past and Caleb shows absolutely no predilection to violence during the course of the book. Sierra herself acknowledges that if anything more than the threat of violence had happened in the past or even if there was the threat of violence around Caleb in the present she wouldn’t give him the time of day. It some ways I feel like it puts me in the position of Sierra's parents in the book. Worried but hoping that I am able to trust Sierra's decision-making skills. It definitely made me uncomfortable. It may be because the characters and setter are so realistically drawn that I feel this way. Certainly, there are other books that I have read where the love interest has some innate violence but I don’t even think about it (Um… The Wrath and the Dawn?) I seem to have a much different standard in a contemporary YA than fantasy. Possibly this is unfair. I would be interested to know if anyone else felt this way when reading the book. I have read both 13 Reasons Why and The Future of Us so I was expecting this book to me deeper than it was. Jay Asher obviously has the ability to write gripping emotional stories but What Light was well, light. 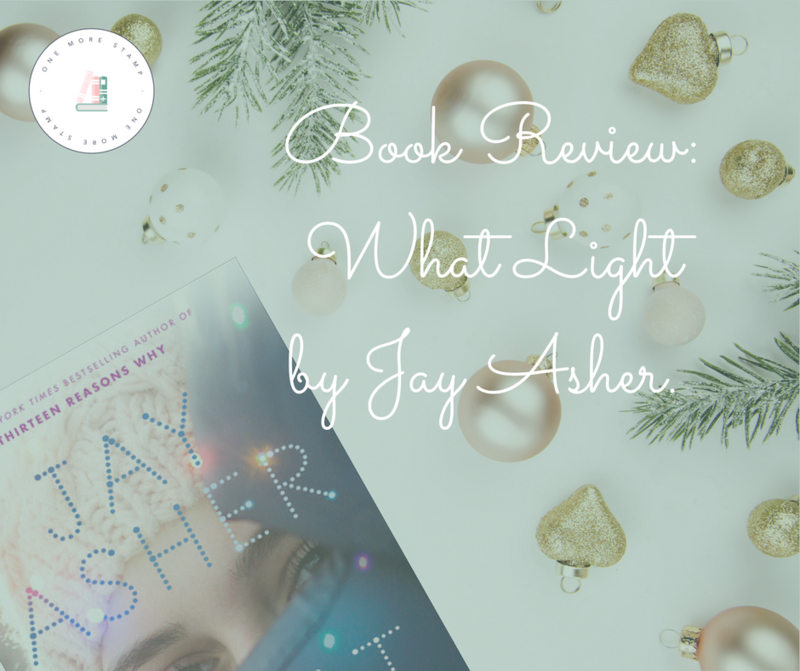 If I had chosen to read it because it was written by Jay Asher and not because it was a Christmas book I might have been pretty disappointed. What Light isn’t a deep or profound story. But it was sweet, comfy to sit down with on a cold night, and definitely imbibed with the holiday spirit. There is nothing earth shattering or unique about it but it is well written and worth glance if you are looking into a holiday read.